You’re the type of person who likes keeping fit and active, and smashes their way through any fitness challenges you set for yourself. You may find the challenge of sticking to your workout routine whilst on vacation a little bit harder to keep. Not having your usual equipment, local running path and meal prep can knock you off your rhythm but we are here to help! We’ve come up with a few ideas and ingenious ways to help you stick to your fitness goals as well as enjoy the island and all it has to offer. You will find that a lot of the hotels and majority of resorts come equipped with their own gym. It might not have exactly the same equipment that you are used to but it’s a good chance to change things up in your routine and with the gym’s usually being a complimentary extra you might as well go and check it out. Being that you are someone who loves working out, the best hotel for you might be the Body Holiday in St.Lucia. At this hotel, you will not only follow your workout routine but you will leave with a renewed mind. The biggest thing that you will take away from your stay in St. Lucia is most definitely the outstanding scenery and surroundings, so make the most of them and go explore the island whilst taking a morning run. With the choice of lush rainforests, exquisite beaches, and amazingly colorful streets you will never run out of things to admire all whilst keeping fit. One of the most challenging hiking trails in St.Lucia is Mount Gimme, it is not for the weak at heart. After your hike, you can enjoy a nice cool swim at the waterfalls as your reward. Well, being is a huge part of the St. Lucia culture and you will be able to find spas and instructors that offer professional yoga classes all across the island. A great way to relax and unwind after an exciting day spent exploring, Yoga is not only good for your health but your mind too. Luckily most of the hotels and some of the guest houses come with yoga in their packages and also have a dedicated room for it as well. Have a look and find out what leisure activities you can do whilst on your stay. Activities like volleyball and tennis are a great way to get your heart rate raised all whilst having fun as well. Wanna bring out the kid in you again, try going to the pigeon island water park. Trust me if you want to work on these leg muscles, this obstacle course on the water is a great idea for you. Swimming is a great way of keeping active whilst on vacation as pools are generally readily available no matter where you are staying. Go out early in the morning or later in the evening if you want to avoid a larger crowd and do a few laps of the pool to keep those muscles working. Also, you are on an island, which means you are surrounded by water all around you. Take advantage of the beautiful oceans and do some swimming, snorkeling, or diving, that would for sure work on those core muscles. There are lots of different activities around the island that combine exercise with a bit of fun thrown into it. Take a guided hike up the Gros Piton, explore Pigeon island and visit the fort located at the very top of the islet or walk amongst the canopy with the treeline adventure park. The best way to get the full experience is to book it through a tour company. There are many of them on the island depending on exactly what you want to do. It can be anything from zipping through the air or snorkeling the clear blue sea. Any activity you choose, you will be sure to have a great time guaranteed !!! 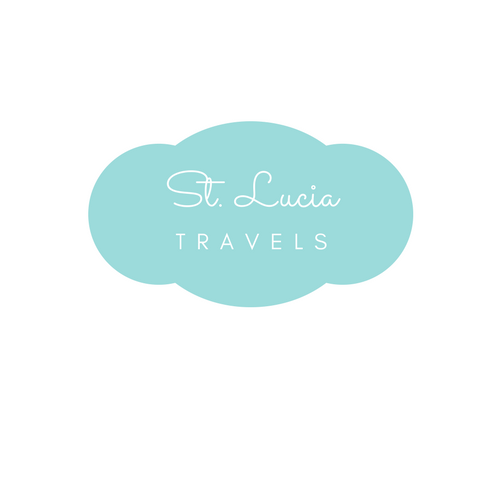 Most likely you have decided to visit St. Lucia to relax, so if any time is good to be a little less vigilant with your routine it’s whilst you are on vacation. Take a day to visit a spa or if you still want to keep active, walk through the streets of Castries and do some duty-free shopping whilst you are there. The island is small but has so many amazing attractions. For instance, on your cheat day, you can visit the Castries market and try out an array of Caribbean cuisines that will leave your taste buds wanting more. Being on an island everything is made fresh. Its like from the ocean to your plate type of service. Taking a week out from your workout routine might not make much of a difference if you are very disciplined, but it is always hard to get back to where you were. So we say keep up with your workout routine and have some fun whiles doing it. Who says you can’t have fun and stick to your workout routine whiles in paradise island.